Preparation: Choose mushrooms free from spots and decay. Sort according to size. Wash thoroughly in cold water. Trim off ends of stems. If mushrooms are larger than 1 inch across, slice them or cut them into quarters. Mushrooms can be steamed or heated in fat in a fry pan. Steamed mushrooms will keep longer than those heated in fat. 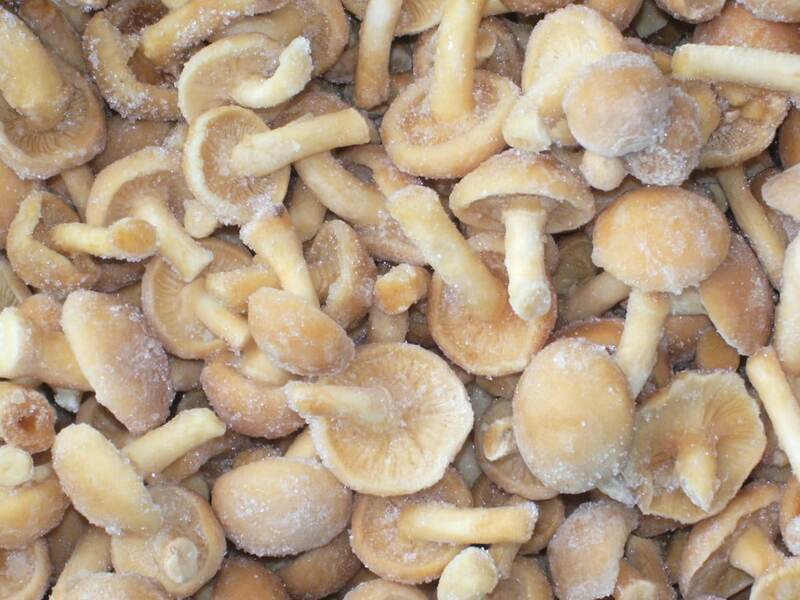 To Steam: Mushrooms to be steamed have better color if given anti-darkening treatment first. To do this, dip for 5 minutes in a solution containing 1 teaspoon lemon juice or 11/2 teaspoons citric acid to a pint of water. Then steam whole mushrooms 5 minutes, buttons or quarters 31/2 minutes and slices 3 minutes. Cool promptly, drain and package, leaving 1/2-inch headspace. Seal and freeze. To Heat in Fry Pan: Heat small quantities of mushrooms in margarine or butter in an open fry pan until almost done. Cool in air or set pan in which mushrooms were cooked in cold water. Pack into containers, leaving 1/2-inch headspace. Seal and freeze. * This document was extracted from “So Easy to Preserve”, 4th ed. 1999. Bulletin 989, Cooperative Extension Service, The University of Georgia, Athens. Revised by Elizabeth L. Andress. Ph.D. and Judy A. Harrison, Ph.D., Extension Foods Specialists.